If Tanesh Gamot, a research scholar with the IITB-Monash Research Academy, has his way, mining operations will become a lot safer. 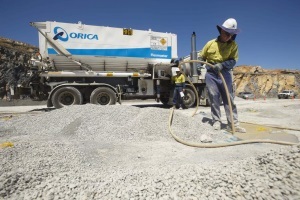 Mining relies heavily on the use of explosives, which help splinter hard rock. 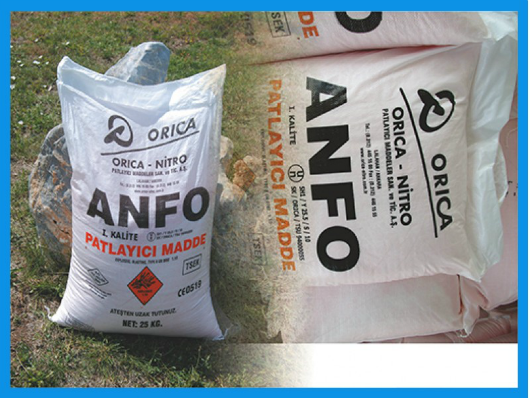 Miners use a large volume of explosives, and it is vital that these are both safe and effective. The IITB-Monash Research Academy is a collaboration between India and Australia that endeavours to strengthen scientific relationships between the two countries. Graduate research scholars like Tanesh study for a dually-badged PhD from both IIT Bombay and Monash University, spending time at both institutions to enrich their research experience. One measure of an explosive’s performance is the velocity of detonation (VOD). “The application of high thermal conductivity materials like graphene oxide at the interface of the aqueous phase and fuel phase may enhance the VOD of emulsion explosives manifold,” says Tanesh. If this can be achieved, a more efficient explosive product may be developed. Graphene, a two-dimensional material with a honeycomb lattice structure of carbon, has so many potential properties that it has changed the perspective of research. Graphene oxide—the oxygen-functionalized chemical derivative with unique tunable properties like electrical conductivity, thermal conductivity and mechanical stability—is much more economical to produce than graphene itself. Tanesh has been exploring the possibility of using Graphene Oxide as a molecular surfactant to stabilize liquid-liquid emulsion. To date, very few studies have been published on the unique thermal properties of this material such as its effect on the thermal conductivity in an emulsion. 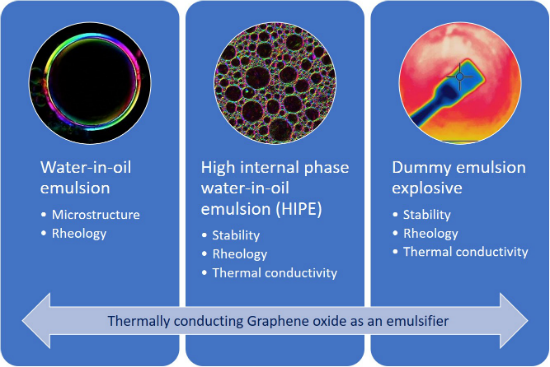 Graphene oxide has the potential to act as an efficient medium to transfer the heat in an emulsion explosive, thereby increasing VOD for efficient explosion, he says. “It will be exciting to see how graphene oxide will enhance thermal conductivity in the presence of a multiple component water-in-oil emulsion without being affected by things like flocculation, a process where colloids come out of suspension in the form of floc or flake” says Tanesh.